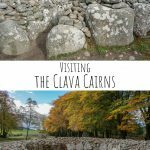 When we decided to visit Inverness, we were interested to see where we could go in the Highlands. 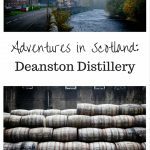 Our time in the area was short and we wanted to make the most of it. 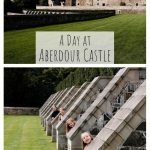 We were rather spontaneous with our day trips from Inverness and let brochures at each place give us ideas on where to go next (I love those stands of travel flyers!). 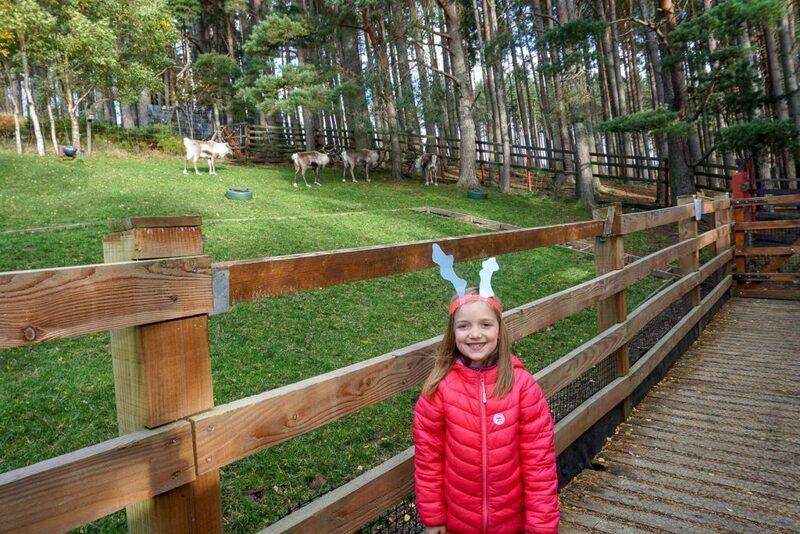 There was a brochure on a Scottish reindeer park and it seemed like the perfect place for the girls. 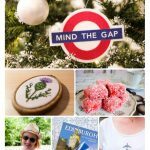 After all, who can pass up seeing reindeer in Scotland?! 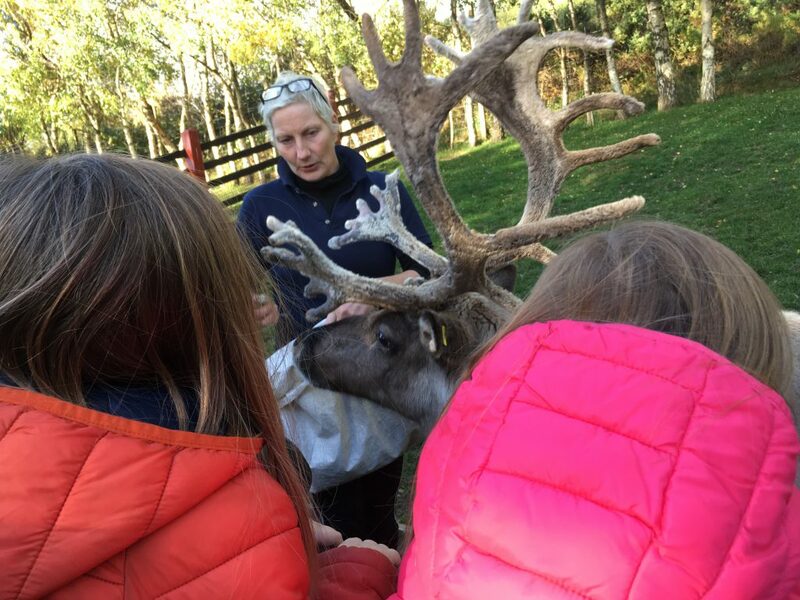 The Cairngorm Reindeer Centre is an easy day trip from Inverness (and just three hours from Edinburgh and Glasgow if you’re driving from there!). 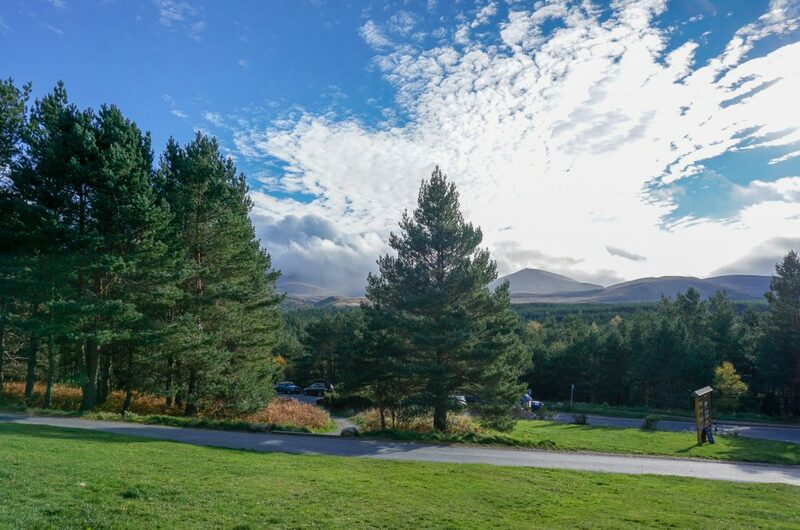 The centre is located east of Aviemore in Glenmore and the buses are infrequent. We learned the hard way that sat-navs have a difficult time locating the reindeer centre, so please follow the directions indicated on their website. 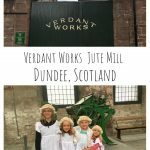 Parking is on the side of the main road and there’s a short walk up to the shop and paddocks. 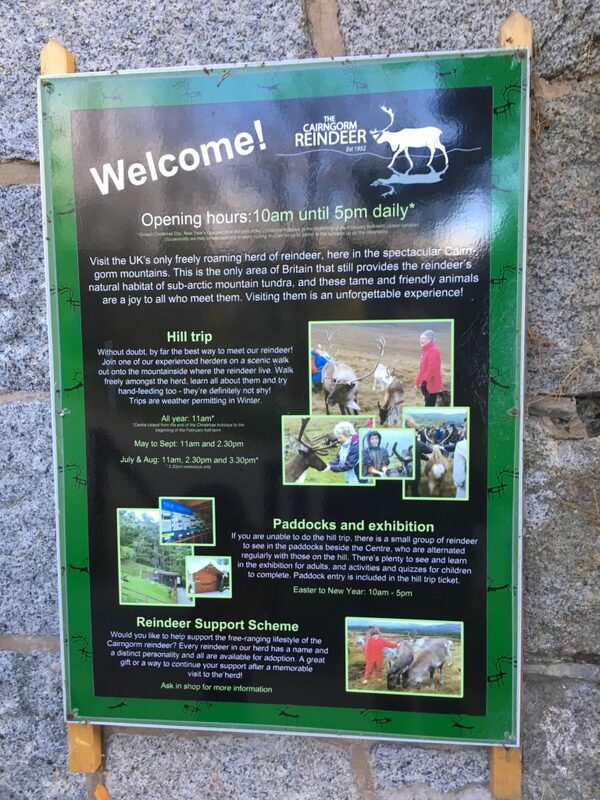 There are two options available to see and feed the reindeer–you can take a hilltop trek where you hike up the mountain with an experienced herder/guide or you can go into the paddocks that are right next to the shop. 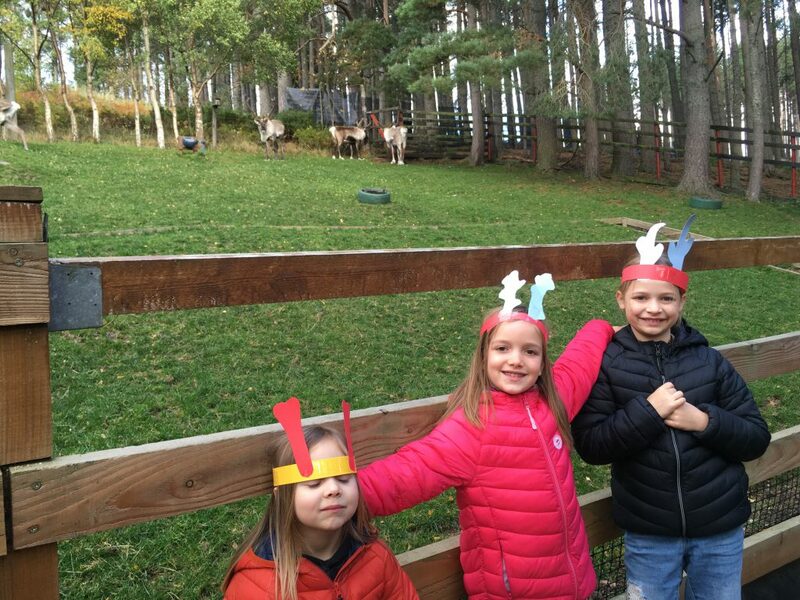 We had only made the decision to drive out to see the reindeer a couple of hours beforehand and missed the hill trip for the day, but I’m not sure our younger kids would have enjoyed it, anyway. 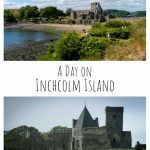 If you are interested in the hill trip, it is highly recommended that you get there early. 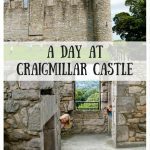 Tickets are first come first served and they don’t take pre-bookings. 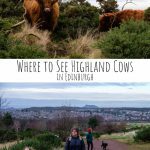 These reindeer are the UK’s only free ranging herd, but it’s almost guaranteed that you will see them on your hike. 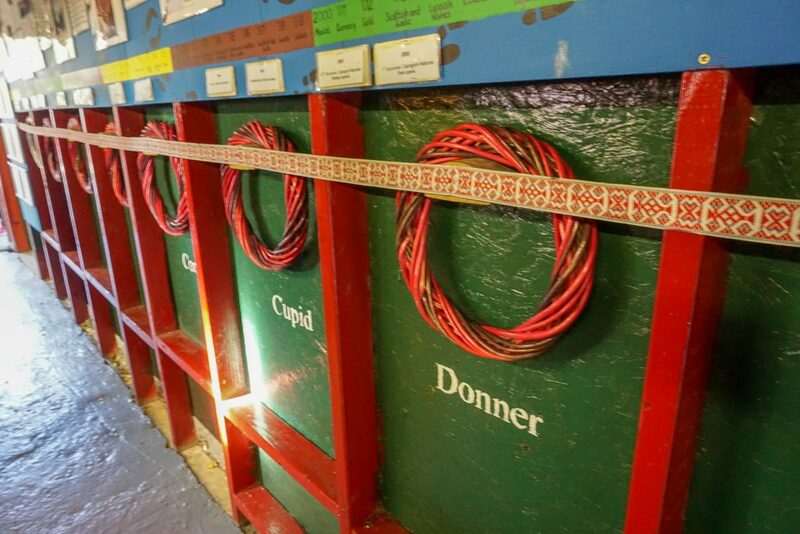 If you’d like to read about the reindeer walk, check out my friend Sara’s experience. We headed into the paddocks. 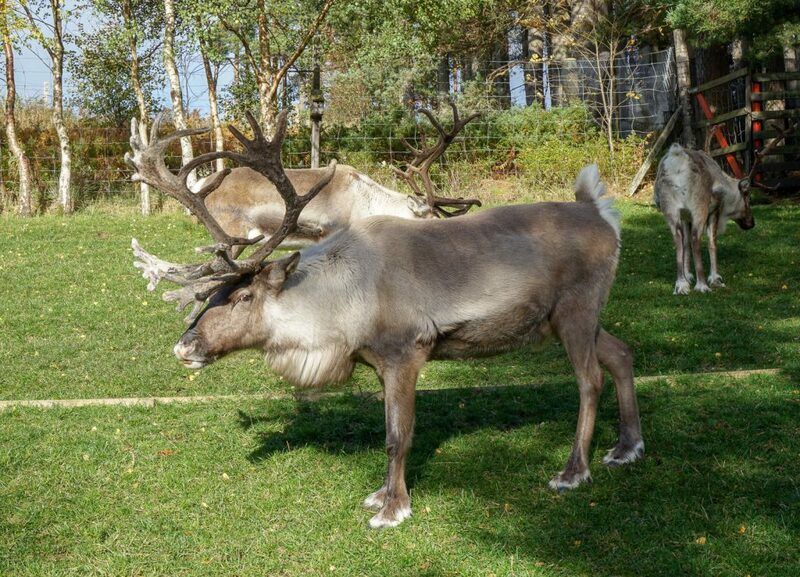 A small number of reindeer are kept in the paddocks and are often animals that could use the slightly easier life for a while. 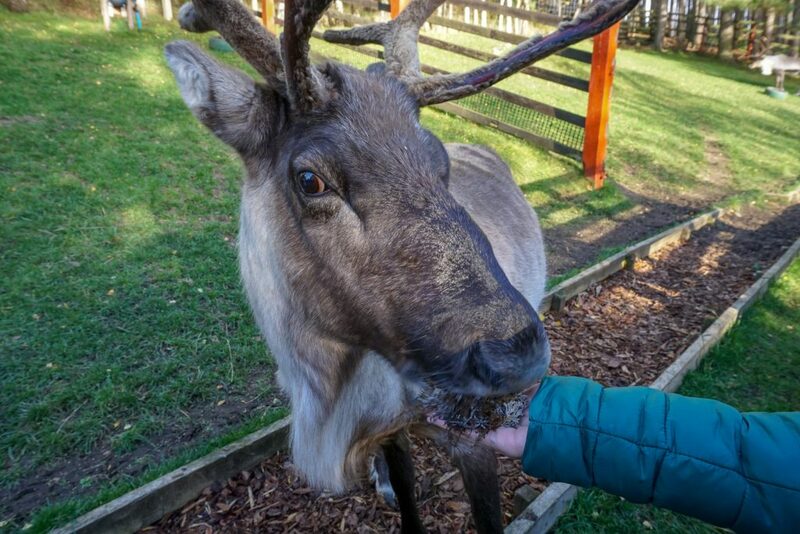 The paddock visit doesn’t guarantee feeding the reindeer, but if you happen to be there at feeding time you’ll get the chance. The paddock area is also wheelchair and pushchair/stroller accessible, something the hill walk isn’t. 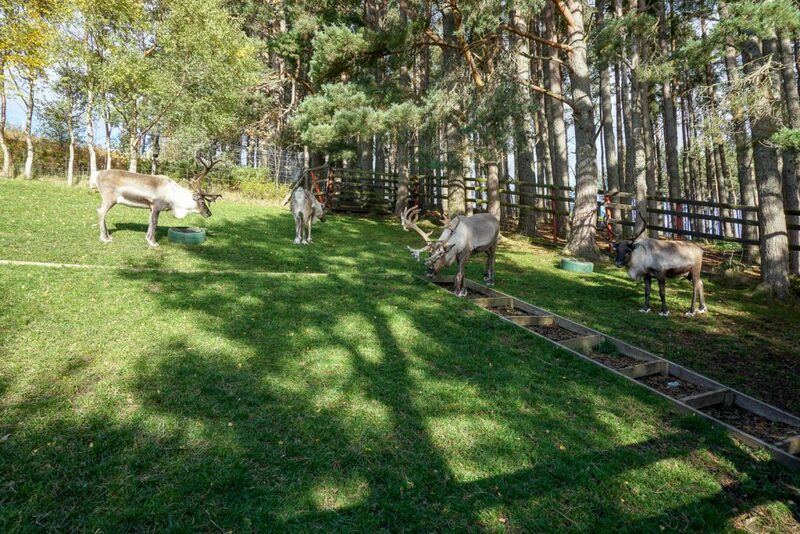 Reindeer are native to Scotland, although these reindeer in particular originally came from Sweden. 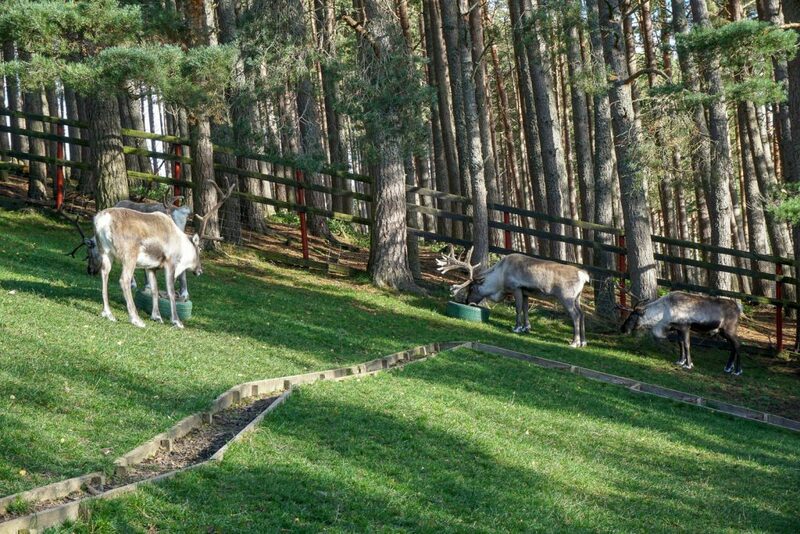 These reindeer have lived in Cairngorms National Park since 1952. 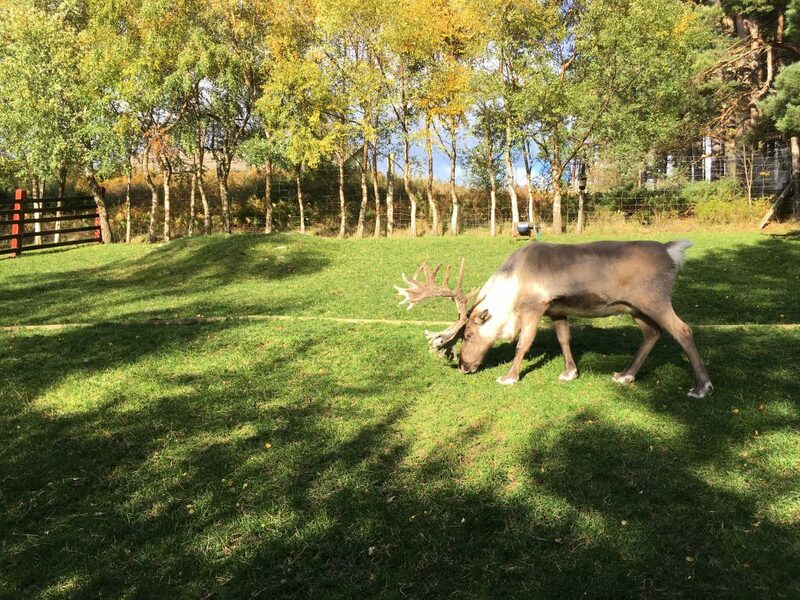 This area was chosen because of the unique sub-arctic qualities and is the only place left in the UK where reindeer can thrive. 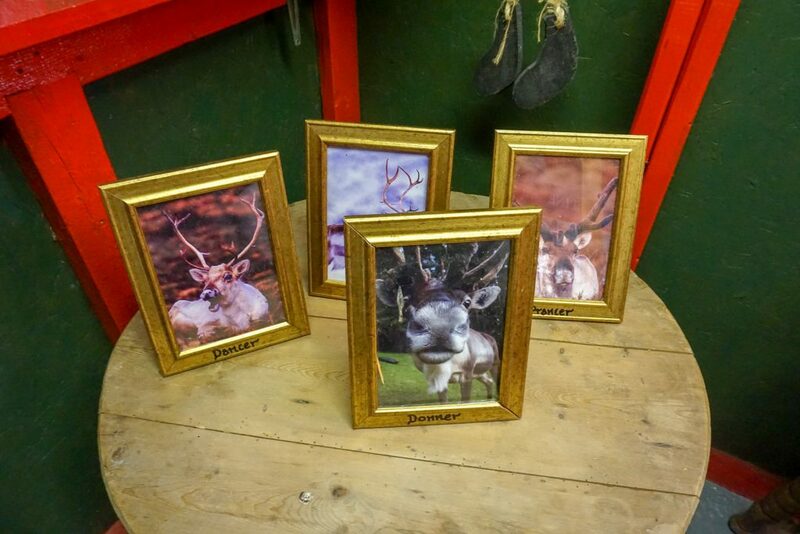 The reindeer all have names and you can adopt them! 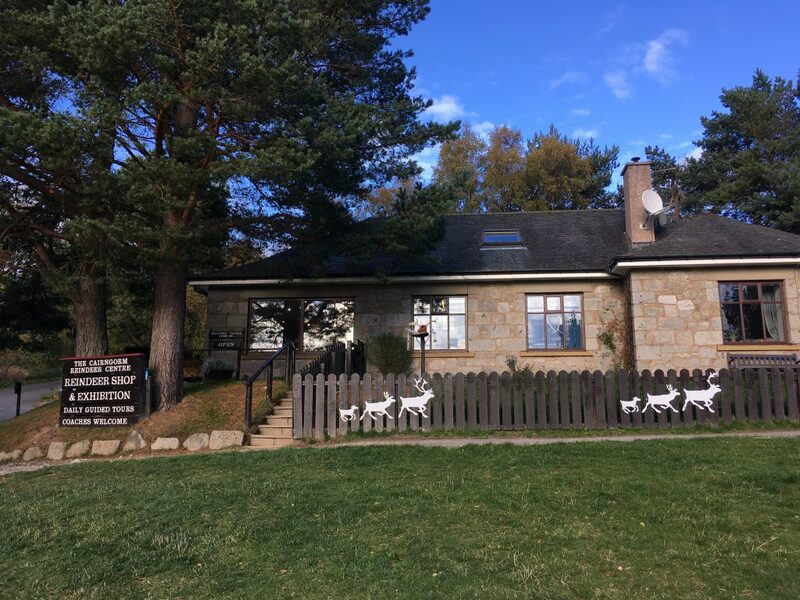 I don’t mean buying one– Cairngorm reindeer adoption helps the centre maintain the reindeers’ lifestyle freely roaming the Cairngorm Mountains. 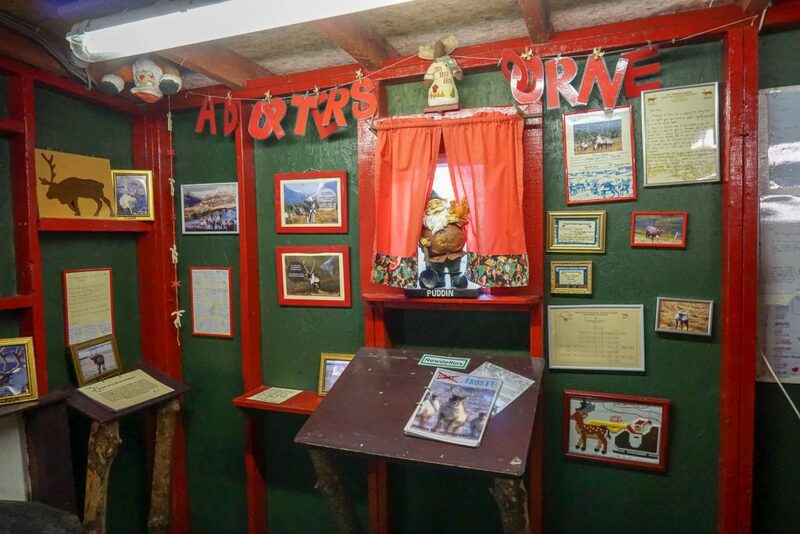 You get a certificate and picture of your reindeer and the chance to see him/her for free when you’re in the area. There are other perks as well and it’s both a fun and worthwhile cause. 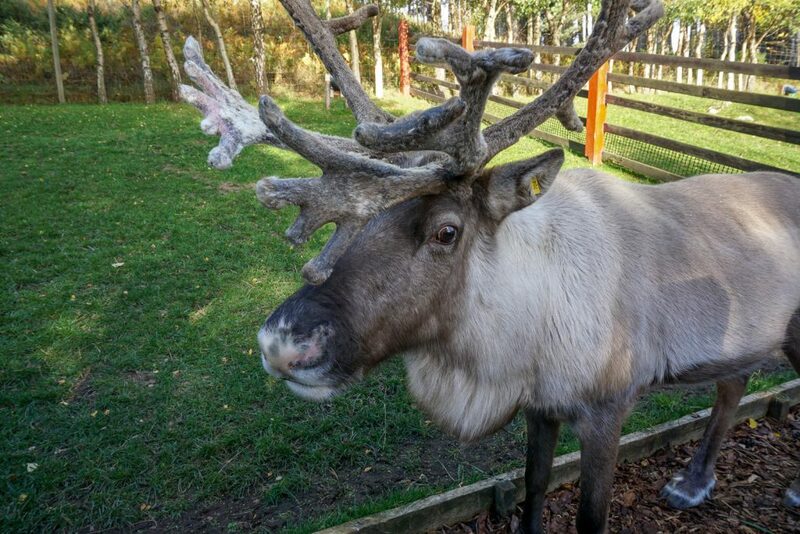 We were lucky to visit during reindeer feeding time. Fun fact: if you want to make Rudolph happy at Christmas, don’t leave him a carrot–he would much prefer lichen! 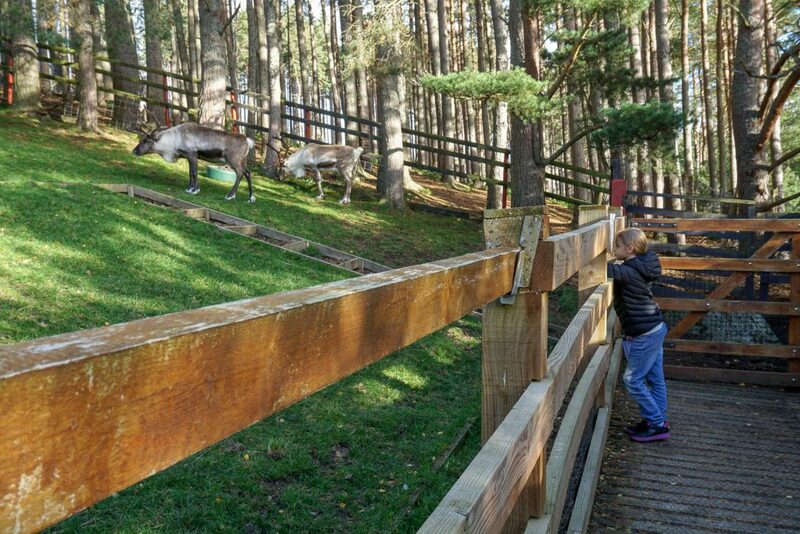 At no point were any of the kids allowed past the fencing, but the carer gave them each some feed and the reindeer came right over. 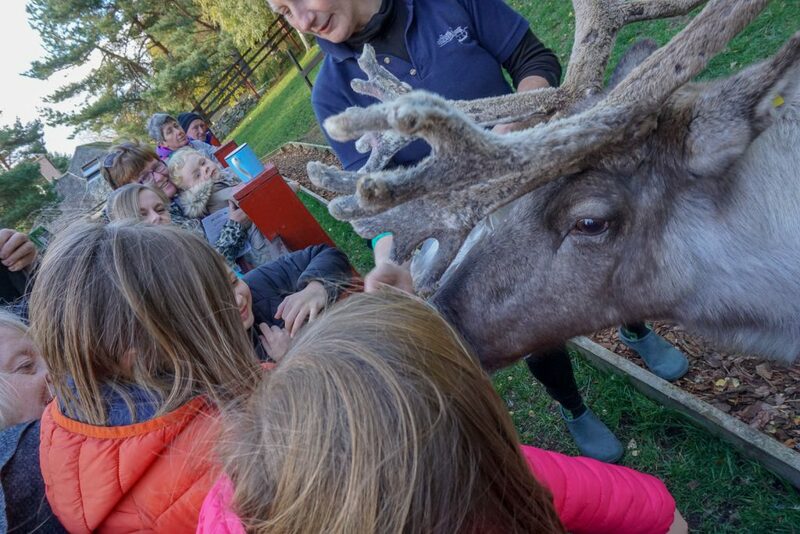 The reindeer were so gentle and the girls were absolutely thrilled. 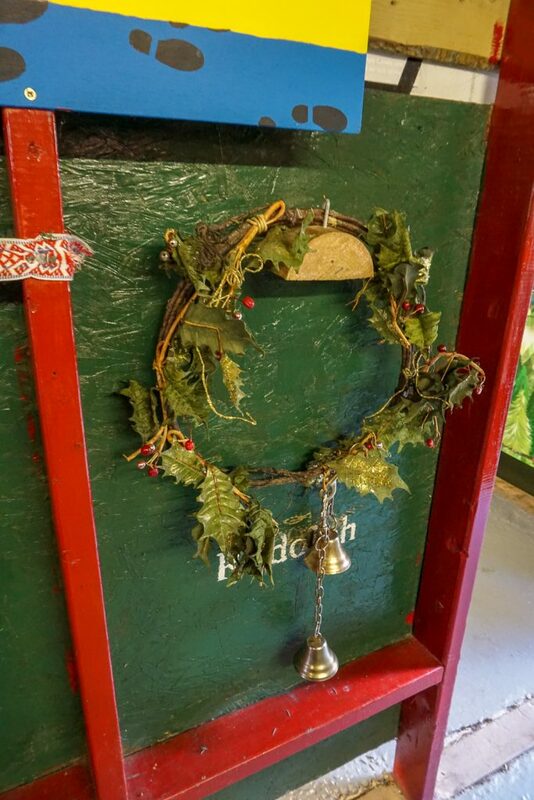 The paddocks also play host to Santa’s Bothy and the elves’ house. 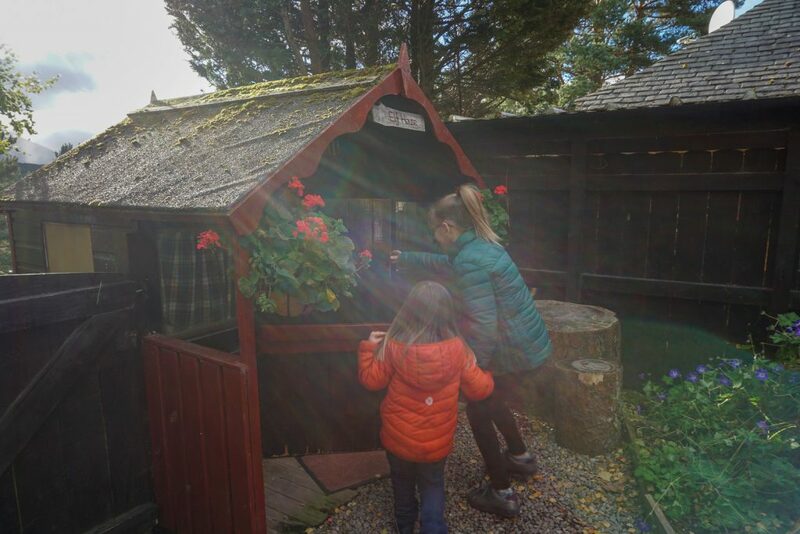 It is a kid’s paradise where they can learn about reindeer and the history of reindeer in Scotland, make reindeer crafts, and see where Santa’s reindeer stay in the off-season. 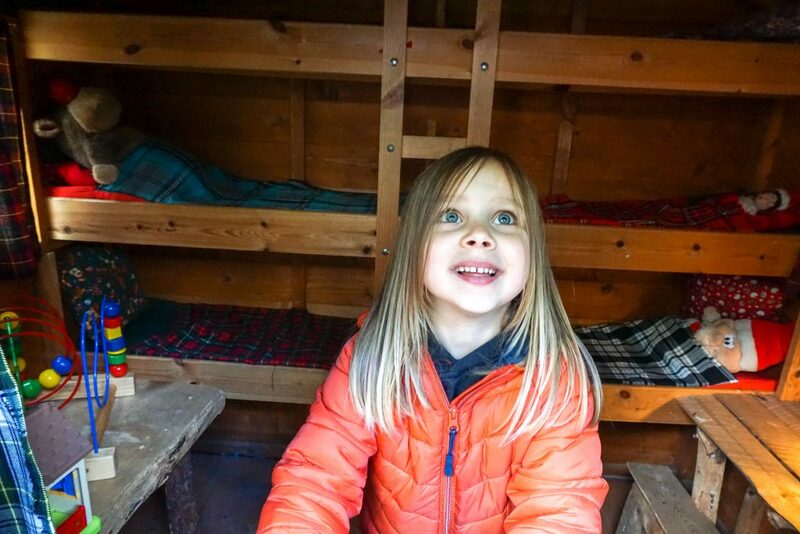 Matilda (5) especially loved the kid-friendly Elf House. 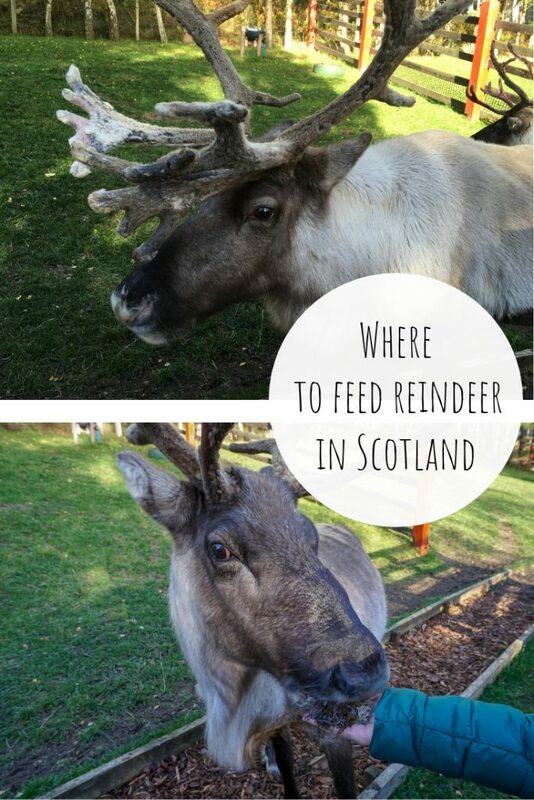 I never would have thought you could see and feed reindeer in Scotland, but not only is it accessible, the reindeer are incredibly well taken care of and loved. 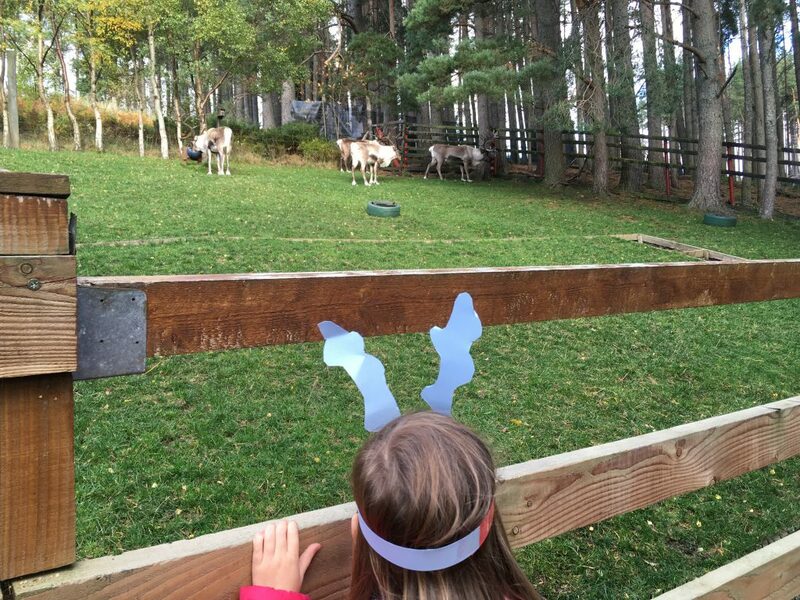 The Cairngorm Reindeer Centre is great Scottish family travel destination.